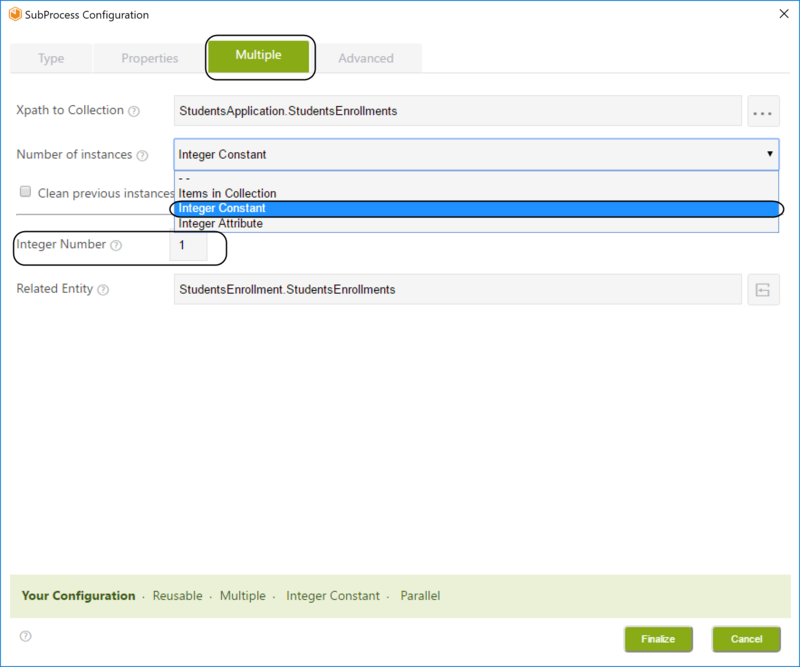 When using the Integer Attribute option, instead of Items in Collection, the number of instances to be created will always match the number stored into an specified attribute. It can be selected when configuring a new Sub-Process and it is only visible when Advanced Settings has been selected. and it is only visible for Reusable Sub-Process defined as Multiple. When an election will be performed, a process can be executed to allow a poll to be created and register the total amount of votes. Every Poll Station report its results in parallel. Finally, the result must be displayed to the Poll Organizer. Every Poll Station must be registered, and when the poll has finished, register its results. The amount of Sub-Process instances should be the same as the number of Poll Stations, which is provided in the first activity, just before the creation of the Sub-Processes. 2. Continue selecting the Multiple Check box in the Properties tab and selecting its process. Then on the Multiple Tab select the Integer Attribute option of the Number of Instances drop down list. 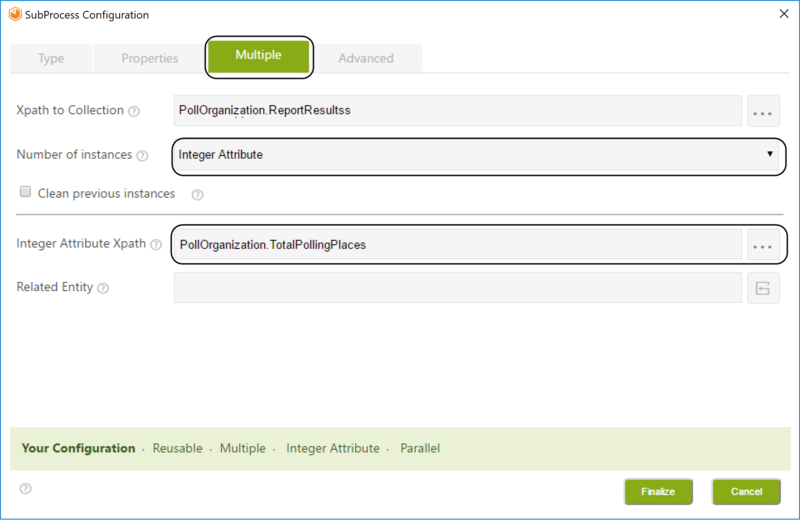 This will show the field to provide the attribute XPath which contains the number of instances you want to create each time the Sub-Process starts. 4. This will enable you to create the number of Sub-Processes specified within the activities and let them continue at the same time.